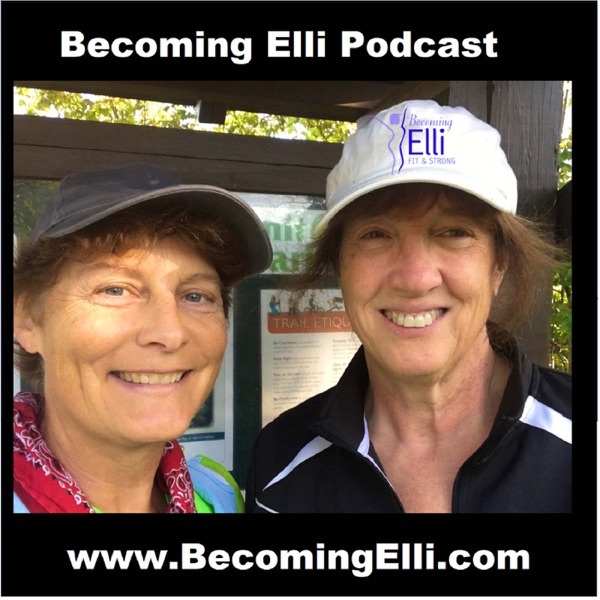 In Episode 8 of the Becoming Elli podcast, we interview Juel Fitzgerald. This is one of the most inspiring podcasts that we've done so far. In 2008, Juel Fitzgerald lost over 50 pounds and now maintains her weight loss through healthy eating habits and walking. Not just walking around the block, she is one SERIOUS walker. In fact last year, she walked 1500 miles. She has walked 6 full marathons, many half marathons and many many, many 5K’s! Juel shares with us her experience with walking the Bataan Memorial Death March, held at the desert of the White Sands Missile Range in New Mexico. It is known as one of the most difficult marathons in the US. It took her 9 hours of hiking through the desert and during that time, about 25% of the participants dropped out. In today's podcast she describes how she prepared for this unusual marathon, both physically and mentally. She also shares the best fitness advice she ever received and plays along with the lightening round. This episode also includes Jill's helpful tips for using the elliptical machine. You can follow Juel on her travel agent Facebook page and read more about the Battan Death March Marathon on her Heart Emissions website.